The Seventh Annual Meeting of the Science and Technology in Society (STS) forum was held from 3 to 5 October, 2010 at the International Conference Center (ICC) Kyoto, Japan. The BA has actively participated in all previous STS annual meetings since it first started at 2004. 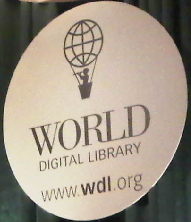 The BA has joined the “World Digital Library Inaugural Annual Partner Meeting” in Washington, D.C. last June to discuss several essential matters with the other 68 partner institutions. Bibliotheca Alexandrina has hosted the 4th annual event organized by the IEEE Alex Student Branch, titled “Interact with Today’s World” from 2-4 July 2010. The event has taken place under the auspices of the International School of Information Science at the BA, and with the sponsorship of prominent companies in the ICT field like ITIDA, Cisco Academy, Vision Solutions and Pi-Tech.